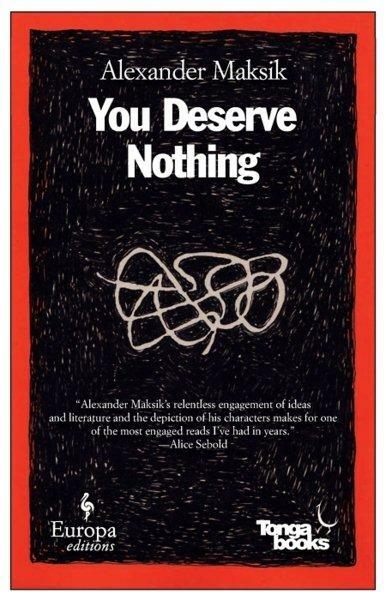 After concluding Alexander Maksik’s novel, You Deserve Nothing, I began to wonder just who the ‘you’ refers to. Could it refer to Will Silver, an American who’s ditched his wife for vague reasons and now teaches at a swanky Parisian school for over-privileged teens? Could it refer to Marie, a young girl who develops a huge crush on Will? Could it refer to Gilad–another adoring pupil of Silver’s? But then again, by the time the novel ends with an emptiness created by absence and a lack of explanations, perhaps ‘you‘ refers to all those involved in this page-turner tale of teacher-pupil classroom power dynamics & transference. The story unfolds through three perspectives, and the first three short chapters are narrated by Will, Gilad and Marie post trauma and scandal. The story then moves swiftly back to the past, and we see Will Silver, a young teacher separated from his wife, living in Paris and teaching under dream conditions. By dream conditions, I should clarify that Will teaches a sum total of four classes; all of the students are bright, inquisitive, already wrapped in a sound education, and what’s more the class size is very small–perhaps, as it turns out, too small…. These kids like Mike Chandler who were fluent in several languages and cultures, who were so relaxed, so natural in exquisite apartments at elaborate parties, who moved from country to country, from adult to adolescent with a professional ease, were not the standard at ISF. Most were kids who’d been plucked from an Air Force base in Virginia and deposited in Paris, who resented the move, refused to adapt. The move only strengthened their faith in conservative American politics. They refused France. Their rebellion was, by default, an adamant rejection of their new home and all things French. Their families bought food from the commissary at the American Embassy. Kid’s who’d return from weekend trips talked excitedly about the Taco Bell and Burger King they’d found at Ramstein. 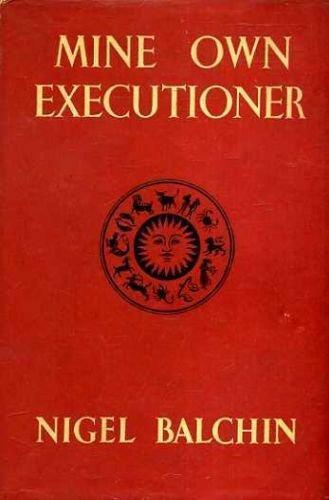 You Deserve Nothing covers some very familiar ground, but Alexander Masik’s first novel rises above the crowd for its treatment of philosophical and moral issues. While this is manifested in the choices made in the multiple, sometimes conflicting narratives, the moral and philosophical issues also exist as an undercurrent to the drama that takes in the lively and realistic classroom scenes. Silver designs a senior seminar course which includes coverage of Sartre, Camus, Macbeth and Existentialism. He leads the discussions with the aim of sparking independent thought & intellectual curiosity, but Silver runs into some fairly common problems when it comes to the topic of religion, the issue of choice, & taking responsiblity for the decisions we make. The classroom dynamic, however, also begins to encompass Silver’s not-so-secret personal life, and Silver, who’s been put on a pedestal by most of his worshipful students, does not live up to their expectations or follow the creed he teaches. While classroom discussion is supposed to dissect and discuss hypothetical situations, Silver’s behaviour gradually comes under condemnation from all those around him. People used to tell me when I was young that I didn’t know what I was capable of, that my intelligence was limitless, that I could do anything. Which I’ve come to realize is true in both directions. I never imagined that I was capable of this life. It would have seemed impossible to me when I was younger, but god do we surprise ourselves. They never tell you that what we surprise ourselves with may be disappointment. There’s an incident in the novel that I’m still mulling over. Without ruining the novel with spoilers, both Will and Gilad bizarrely walk way from a horrific event and don’t consider offering to be witnesses. The subject simply never comes up. I’m not sure if this is a failure on the part of the novel or if this is an intentional development which illustrates both Will and Gilad’s detachment from events. I think I’ll land on the latter.